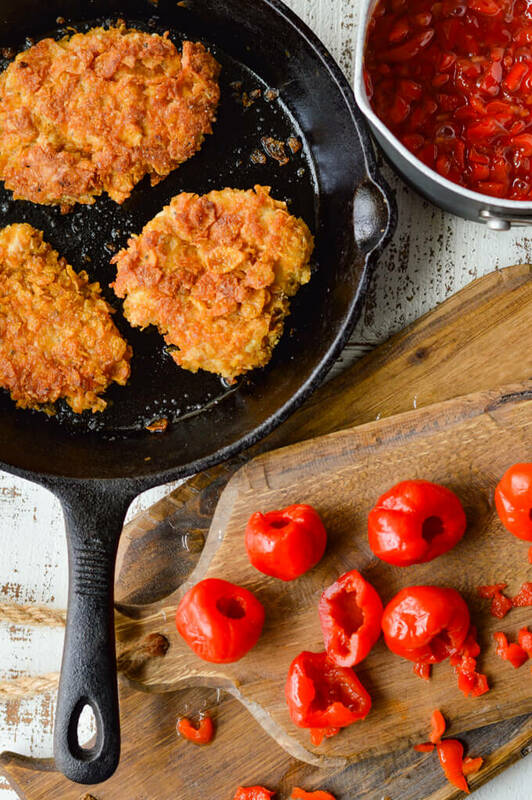 Peppadew Jam brings a new twist to Chicken and Waffles. This sweet and spicy sauce kicks up a classic recipe with a little bit of heat. 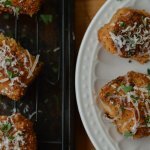 A cornflake coating is what makes this chicken extra crunchy. All of this is sandwiched between a crispy yet tender homemade waffle. Comfort and Joy! That right there is exactly what these Chicken and Waffles with Sweet-Spicy Peppadew Jam bring to the table. Just look at the oozing crimson sauce dripping from the chicken down over the waffles. It’s soon to be all over my face because the next thing you know I’m gonna be plunging into this “comfort food” experience. I don’t always eat like this, but when I do, you better believe I’m going the whole distance. I’ll deal with my obsessions at a later date when I feel stronger and more in control. 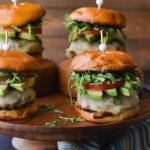 This recipe can work for any meal – breakfast, lunch or dinner. You can even pull off a snack with mini waffles. 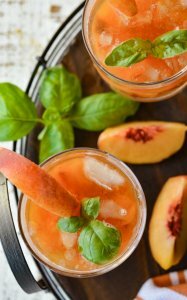 This is such a versatile recipe that tastes great any time of the day. What about a midnight snack? Now that sounds really good to me. The chicken is extremely crispy with the cornflake crust. 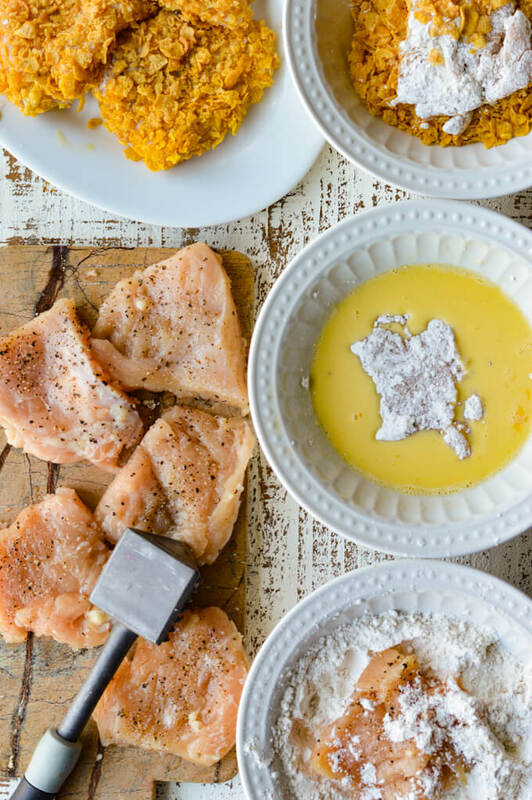 The fledging of chicken in the flour, egg dip, and cornflakes create a crust on this chicken that has a nice crunch to it. It brings a heartiness to the finished product that is fully satisfying. A crunchy yet tender waffle is a perfect compliment to the crispy chicken. Although the Belguim waffle is a little thick, it makes for a mouthful of deliciousness in every bite. This recipe provides a good ratio of chicken to bread. The peppadew jam is the highlight of this handheld delight. 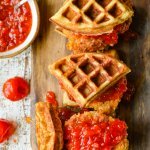 Between both the spicy and the sweet tastes of the peppadew jam, it makes for an amazing garnish for this chicken and waffle sandwich. 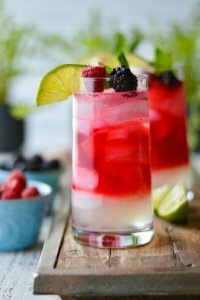 The jam is what brings the recipe altogether. The waffles are a recipe I’ve had around for about 25 years and they always turn out crispy on the outside and soft on the inside. Buttermilk is a key to their light and fluffy texture. 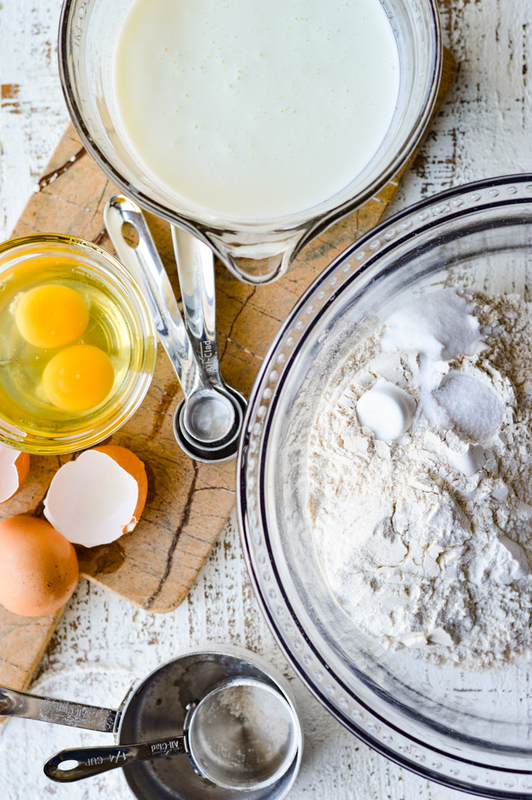 Here’s a scientific fact – a reaction occurs when the acid in buttermilk combines with the baking soda, therefore, causing a rising effect. Take the buttermilk and eggs out of the refrigerator about an hour ahead of time. Room temperature ingredients help with emulsification which traps air in the batter. When heated in the waffle iron, the trapped air expands which also helps create a fluffier waffle. This is true with baking cakes, muffins, etc. as well. Be careful to not over mix the waffle batter which will ultimately result in a tough and rubbery waffle. Stir just until you have incorporated the wet ingredients into the dry. You’ll still see plenty of lumps in the batter which is exactly what you want. Let it rest for about 15 minutes before filling the waffle iron. 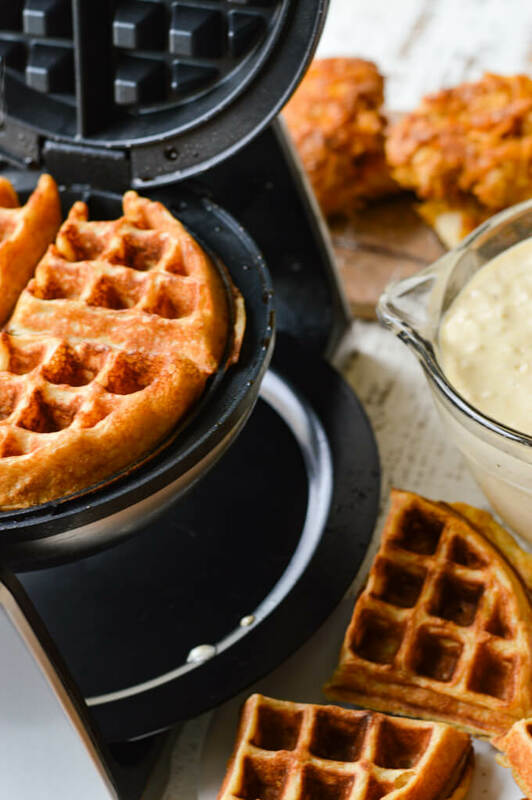 Getting the waffle iron as hot as you can get it before pouring the batter in is another key. This will ensure both a crisp and crunch on the outside. Make sure you oil the waffle maker before pouring in the batter. The last thing you want is it sticking to the top or bottom and leaving a clingy wreck of a waffle for you to dig out. If you want to achieve a really crispy chicken, cornflakes are gonna be your go-to coating. The best way to ensure the cornflakes adhere to the chicken, dredge each piece in flour, then in an egg with milk mixture and finally flop the chicken around in the crushed corn flakes. This step is definitely sloppy but well worth it in the end. You’ll probably need to use your hands to press some of the cornflakes into the eggy goop. I know I did anyway. I don’t know how many times I can say this, but I am in LOVE with my cast iron skillets. After seasoning them for several years, they are my all-time favorite kitchen pans. This is what I grabbed when ready to cook the chicken pieces. Avocado or grapeseed oil in my skillet works best when cooking with high temperatures because both of these have a high smoke point. After covering the bottom of the pan with oil, heat the skillet to medium-high until it is really hot. At that point, turn the heat down to medium and add the cornflake coated chicken. Cook for 2 minutes on each side then slide the pan into a preheated 350°F oven. Cook for 10-12 minutes until an instant-read thermometer shows 160°F. Peppadew jam propels the flavor of these chicken and waffles to a whole new dimension. It kisses the saltiness of the dish with a touch of sweetness, a spicy zestiness, and a tangy piquancy. If you’ve never heard of or tried peppadew peppers, you can find them in the olive bins at most grocers. They’ve become my new craving. For this recipe, I simply combine the peppers with a sweet chili sauce for a brilliant gooeyness. You could make your own sweet chili sauce, but why? I picked up a bottle this morning (Frank’s Red Hot) and spent just a little over $3.00. And listen, you won’t believe how simple this jam is to make. After chopping up those red round peppers, I threw them in a small pan with a jar of the chili sauce, let it simmer for about 20 minutes or so. This allowed the peppers to soften and the sauce to thicken. The peppadew jam ends up being a marvelous condiment for so many things. While desperately needing to add some comfort (and joy) into my life, I returned to the warmth and contentment of an old classic recipe. Then I let my imagination run wild and explored Chicken and Waffles with Sweet-Spicy Peppadew Jam. I was not disappointed and am pretty sure you won’t be either. 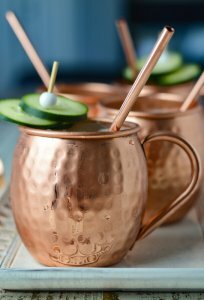 And since game day and tailgating are in full swing right now, you may want to take it a step further by making some extras. Serve them on a platter for all the cheering fans. 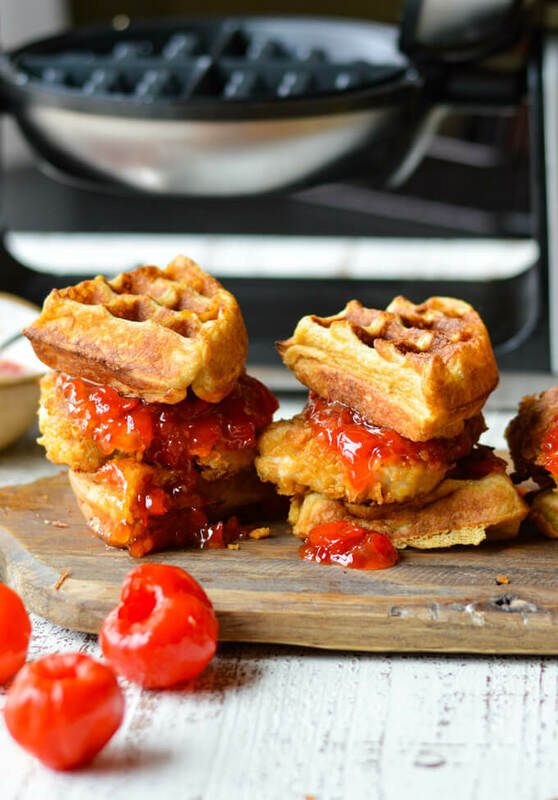 Peppadew Jam brings a new twist to Chicken and Waffles with a sweet and spicy sauce. 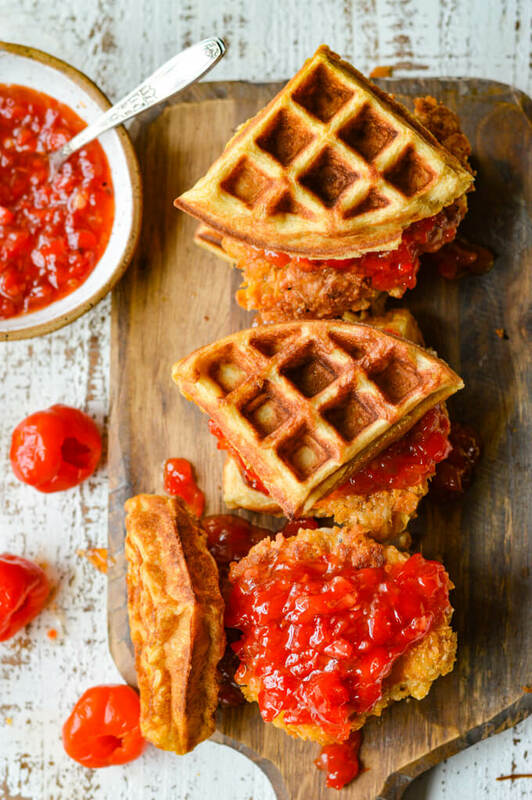 Cornflake coated chicken is sandwiched between a crispy yet tender homemade waffle. In a small pan, combine the chopped peppadews, Sweet Chili Sauce and sugar. Bring to a soft boil over medium-high heat. Turn the heat down and simmer for 20 minutes until peppers become soft and the sauce becomes thick. Set aside to cool. Pound the Chicken between two pieces of parchment paper until consistent thickness. Cut the chicken into 8 pieces. Generously salt and pepper both sides of each piece of chicken. Use 3 bowls. One for the flour. One to combine the eggs and milk. And one to hold the crushed cornflakes. Dredge each piece of chicken through the flour, dip the floured chicken into the egg mixture, then coat with the crushed cornflakes. Preheat the oven to 350°F. 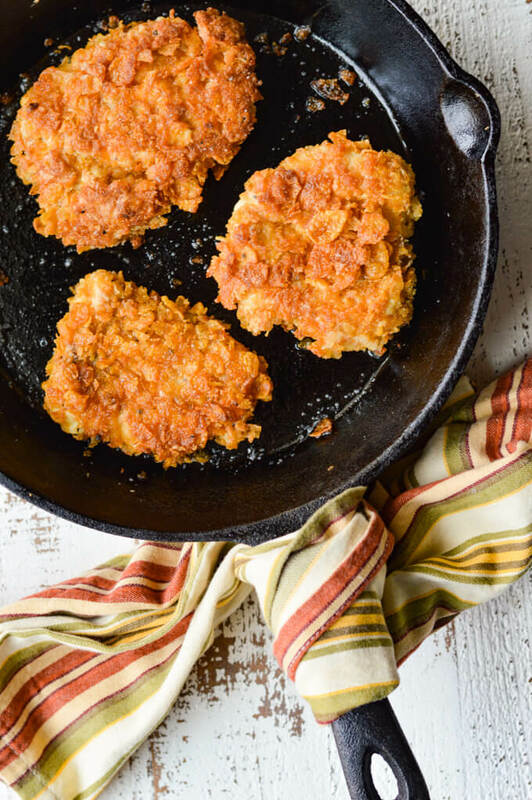 Heat a cast iron skillet or oven-proof skillet over medium-high heat until very hot. Coat the bottom of the skillet with Avocado oil. Add the pieces of chicken and turn the temperature down to medium. Cook for 2 minutes and turn over. Cook for an additional 2 minutes. Place skillet in the 350°F oven and cook for an additional 10-12 minutes or until an instant-read thermometer shows 160°F. Remove the chicken to a plate and cover with foil to keep warm. Sift the dry ingredients together. Beat the eggs well and add olive oil and buttermilk to the beaten eggs. Fold in the dry ingredients just until moist. Be careful not to over-mix. There will be plenty of lumps in the batter. Preheat the waffle maker. Open the lid and coat the plates with olive oil or spray them with Pam Cooking Spray. Pour the waffle batter over the griddle but not to overflowing. It will expand as it cooks. If you have a Belgium waffle maker, use 1 cup for the entire round. If you have a regular waffle maker, use 1/2 cup. Close the lid. There will be steam that is released while the batter is cooking. Once that steam stops, it is probably ready. You will have to experiment with the time because each maker is different, but 4-5 minutes is a good starting point. Let the waffle cook until a deep golden brown. When finished cooking, remove it with a fork by its corner. Whatever cooked waffles you have left over, will freeze wonderfully. Cut each waffle round into fourths. Place 8 sections (1/4 fourth of the round) onto a platter. Set each piece of chicken on the waffle sections. Generously dollop the peppadew jam on top of the cornflake coated chicken and top with the remaining waffle sections. Serve immediately.